Cleaning your dentures is a very important part of your denture care that should be done with the same or even more attention than the cleaning of your teeth. This is a guide about denture cleaning recipes. 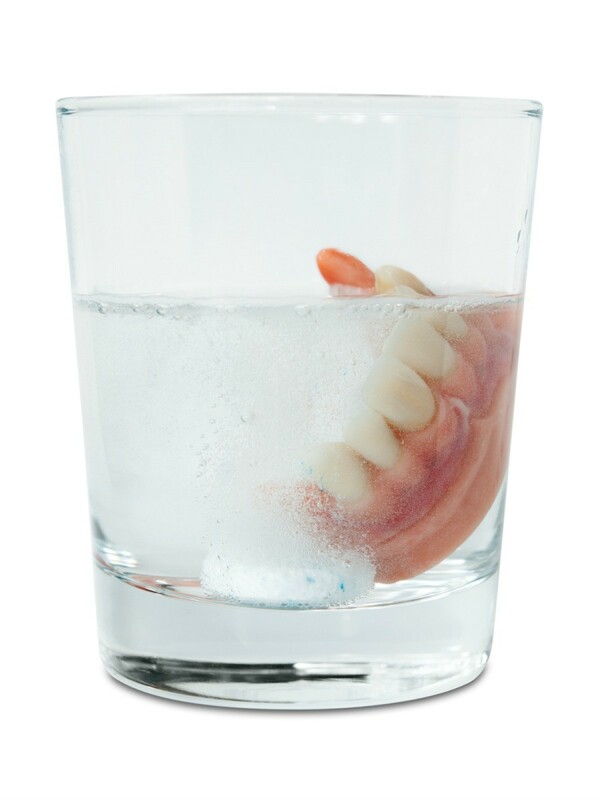 Instead of using those pricey denture tabs, soak your retainers in hydrogen peroxide like you would buy in the first aid aisle. I use this all the time and I never have a build up like I did with the denture tabs. I make a 32 oz. bottle last about three months and costs $1.50. Does anyone have info on making homemade denture cleaner? I'm not interested in bleach; my dentist said never use bleach as it bleaches them out. I've seen homemade everything, but not this. Thank you. The best way I have found to clean my dentures are with a toothbrush and Lava soap. My dentist recommend this, and it really gets my dentures clean. Baking soda works as well as anything. Smoker's toothpaste as it helps with smoking, coffee, tea stains and etc. A little Dial antibacterial soap (the foam kind) (I recommend the pear scent) works great too. You can use the non-foam kind; they both work the same way but, I prefer the foam for me. I use the Dial one week and the smoker's toothpaste the next and so on. Both of these do not cost a lot (can get both be found at the dollar store). A little goes a long way!